Trump was apparently referring to the test pilot report leaked last June describing the F-35A’s less than stellar air combat maneuvering capabilities when compared to an F-16 with external fuel tanks. It’s one thing if Trump believes the F-35 isn’t a good value for America. It’s another thing entirely if he thinks he can justify canceling the entire program based on one test report. The decision to procure the F-35 or not should be one based on force structure design, relevance against emerging threats, development, procurement, sustainment and opportunity costs as well as comparative capabilities. The fact that the F-35 is a poor within-visual-range fighter is definitely another mark against it, but that is only one factor of modern air combat. 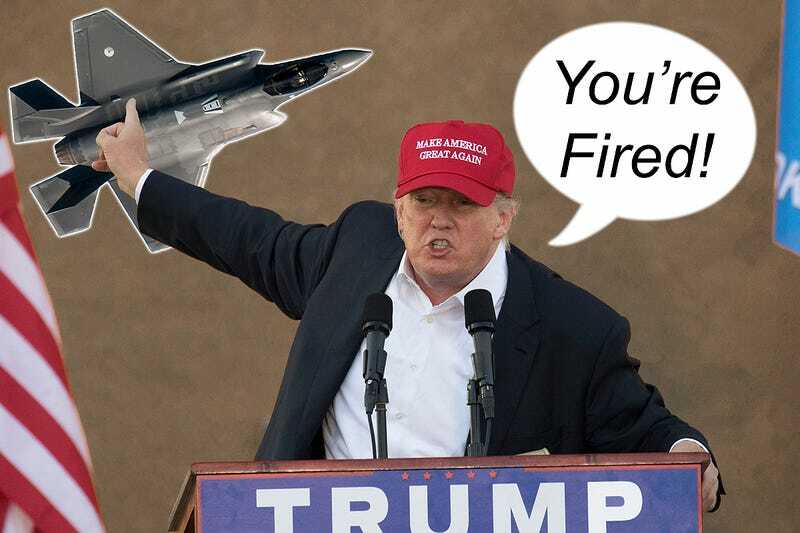 Still, knowing how The Donald likes to hammer away at a few key examples to validate his proposed policies, we will probably hear a whole lot more about the F-35 from him in the future. Now the question is, for a guy who continously says he wants the biggest and best military ever, what would he procure in the F-35’s place?